Blinds and Shades Tips — The Blinds Review. Buying high quality window blinds and shades can easily beautify your home. Knowing how to best care and clean these window treatments will let you make the most out of your investment. 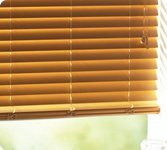 Window blinds and shades can enhance your home and even protect your privacy. High quality window treatments are made from the best materials and, as a result, can be something of an investment. The easiest way to protect this valuable investment is to properly care for and clean your blinds regularly. This will make them look newer and last longer. Mini blinds are the most common window treatment and, oddly enough, they are also the the most people don't know how to clean properly. Their horizontal slats might put you off at first but rest assured, cleaning them is easier than you think. Start by simply dusting the blinds regularly – at least once a week – with a regular feather duster. This will keep any grime or film from building up on the blinds. Plastic blinds can also be washed annually. Hybrid blinds may also potentially be washed depending on their makeup. 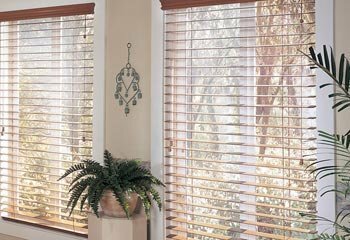 If the blinds are primarily plastic or another polymer they are fine to wash but if they are primarily wood, then you should follow special instructions for wooden blinds. Plastic blinds must be washed once a year but can be washed more often if they are in a room where they get especially dirty. This can be the case with plastic blinds in the kitchen. These blinds should not be over-washed, however, as it can damage the strings. To wash your blinds simply combine ¼ cup of a mild soap into 4 gallons on hot water. Let the blinds soak for a few minutes and then wipe them off. Rinse with cold water and let them air dry in the sun. To clean wooden or primarily wooden hybrid blinds, again begin by dusting them with a clean cloth in order to remove dust and dirt. Then combine ¼ cup wood soap – such as Murphy's or another wooden floor soap – into 1 gallon of water. Using a clean rag, wash the blinds by hand, ringing your rag out well each time. Again, let these blinds dry in the sun. Fabric blinds and shades can be fairly easy to clean if you have a vacuum with a hose attachment. Make a habit of vacuuming your blinds a few times a month to keep them looking their best and once a year gives them a good cleaning. Properly cleaning cloth blinds can vary depending on the fabric. Typically, though, you can use a mixture of mild detergent and warm water to wipe down the shades when they are fully unrolled. There should be no need to clean fabric shades and blinds more than once a year unless they become stained. These shades can be washed and left to dry right on the window – no need to take them down. Taking the time to give routine care and yearly attention to your blinds and shades will keep them looking newer for longer. This will make them last longer and they'll always be an accent to your home, instead of an eyesore. Your blinds will arrive with a manual that will give you clear instructions, step-by-step for installing the blinds. So whether you have ordered horizontal or vertical blinds or woven or Roman shades, do not worry about fixing it in place. In the unlikely event that you are unable to get the right fit because you measured the blinds or shades incorrectly, the problem will be rectified for you by the company at no additional cost. Once you receive your blinds, you’d find an instruction manual inside with graphic images on how the blind rack or the shade valance needs to be placed. There will be interesting tips and suggestions on how to attach brackets in different ways, depending on the size and weight of the blind or shades for easy operation. The joiners, tapes and hooks will be provided adequately with spares so that you do not get muddled when attaching them. The entire process of getting a blind or shade assembled and fitted might involve a few hours of labor, so we would advise you to attempt it over the weekend when you have enough time to spare. With innumerable options available in the market, one could easily come across appropriate finds suited to one’s needs. Trusted names such as www.selectblinds.com have portals for expert advice, ordering and even trials. With such facilities available, the dreary task gets somewhat uncomplicated. SelectBlinds.com has a wide array of wood blinds, but before you buy, set your mind at ease by watching their 2 minute video on how to install them. Installing your new shades or blinds does not necessarily requires expert help. You do not need an excessive amount of tools or any special knowledge in your skill-set. It is an ideal DIY project that will not only save you some money, but also offer you the opportunity to indulge in the satisfying notion every time you look at your windows that those treatments would not hang on there in such a shipshape fashion was it not your own two hands mounting them on that frame. There are some pitfalls one may be trapped along the way, and the most crucial of them can be committed at the very beginning – when measuring the dimensions of the space where your brand new shades or blinds soon will have to fit in. Although it is far from being rocket science, there are some tips one better keeps in mind when measuring the windows ready to welcome their new treatments. First of all a decision must be made before starting the process: whether one desires an inside or an outside mounted solution. There are advantages on both sides – an inside mount is extremely elegant and borrow a modern yet sophisticated look for any window, while outside mounting covers up the window frame and offers maximum light coverage. Whichever way you go, it will not be a mistake, but you have to make up your mind on that point before starting the measurement. If you decide to go with an inside mount, you will have to make six measures altogether. Measure the width of the window (do not forget to measure it inside the frame) three times: once in the top, the middle, and the bottom section. Then choose the lowest value out of the three numbers. The height has to be measured according to the same fashion: write down the height at the left, middle and right sections of the window. From these three numbers select the largest one. If you go for an outside mount then you have to take the window frame into your measurement. Also, you may want to add some extra inches to the width for better light coverage and definitely add three inches to the height, as you need some space for the mounting. The other difference compared to inside mounts is that when selecting the final width value, go for the largest number instead of the lowest for obvious reasons. Otherwise the process is the exact identical of the measuring of inside mounts. Many online shades and blinds supplier will provide you printable measuring worksheets. In case the information offered in this article proves to be insufficient, many of these sites will provide video manuals as well. As the simplest part of installing a new window treatment, taking the right measures is probably the one that people commit mistakes at most often. Following this guide will ensure that you do not have to face unwelcome surprises after your new shades or blinds have been already delivered.